What Types of Cancer Does the CyberKnife System Treat? CyberKnife is a frameless radiation delivery system. With other technologies, immobilization devices, such as a frame bolted to the patient’s skull, are used to prevent movement. CyberKnife is designed to automatically adjust for even the slightest movements of the patient or tumor, and therefore does not require a frame. Managing respiratory motion presents one of the most significant challenges in the delivery of radiation treatment, particularly for cancers of the lung, liver, pancreas and kidney. Tumors in the chest and abdomen can move as much as two inches with every breath. Synchrony Respiratory Tracking System intelligently tracks respiratory motion in real-time and automatically adapts to changes in the patient’s breathing pattern. Since the radiation beam adjusts with the motion of the tumor throughout the respiratory cycle, there is no need for special breath-holding techniques or compression devices. The patient can remain comfortable and breathe normally. Safely and accurately delivering radiation to the prostate presents a challenge for any external beam radiation delivery system because the prostate moves as a result of bowel, stomach and bladder pressure. 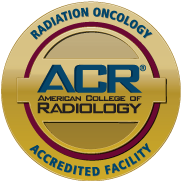 CyberKnife combines continual image guidance to automatically adapt delivery of radiation accurately and in real time. The accuracy of CyberKnife makes it a viable treatment option for patients whose tumors have returned after having radiation therapy in the past. Comments Off on What Types of Cancer Does the CyberKnife System Treat?